Please find the new patient form package. You do have an option of printing and filling the forms prior to your scheduled appointment for your convenience. You can download the Patient Form Package here. 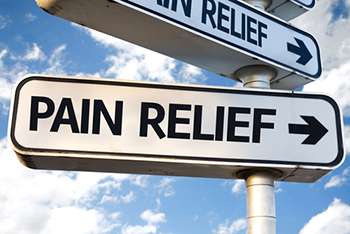 Visit Our Orlando Pain Clinic Today! Our innovative clinic offers state of the art equipment, utilizes all forms of treatment from all countries around the world and regularly utilizes the latest research and methodologies to help patients live with less pain. Dr. Rajan Kalia specializes in pain management and treats patients from all walks of life. From professional athletes to the everyday parent, it is his goal to reduce and even eliminate the amount of pain experienced by his patients with every visit. No one should experience the daily discomfort that chronic conditions deliver. The amount of positive reviews and feedback is overwhelming, and the team at Innovative Pain Solutions is grateful to all of their patients for helping elevate their status as the top pain treatment clinic in Dr. Phillips, FL. Through excellent customer service and an acute focus on treating pain with the best methods available, the results have been quite positive. If you have any questions or concerns please use the form to the right to obtain help fast. You may also call our office for quicker assistance. Dr. Kalia looks forward to working with you.